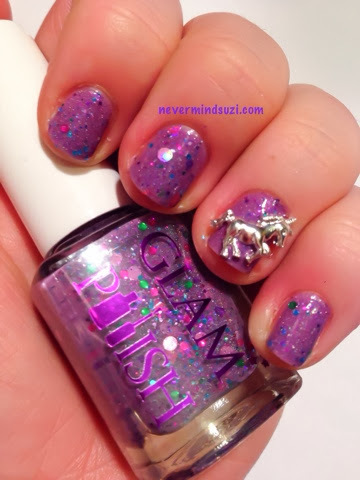 I'm so pleased to have another Glam Polish - Unicorn Sparkles to share with you. This is another that my friend from Australia kindly transported for me. 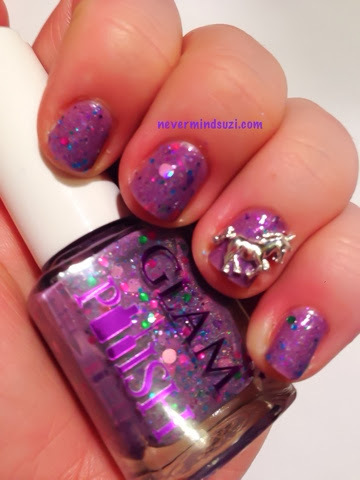 Unicorn Sparkles is a purple sparkly creme full of silver, pink, green and blue glitters. There are circle glitters in there too but they're not just as large as you normally get. 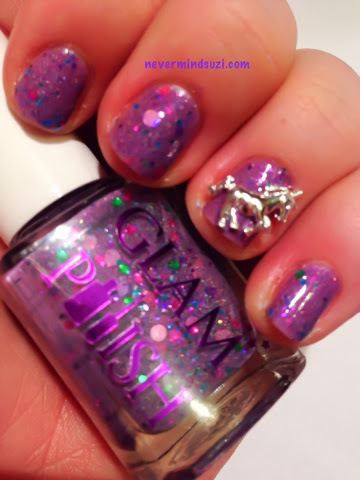 It would be rude to wear a nail polish with a name like Unicorn Sparkles and not wear these fabulous Unicorn decals that I got from Rainbow Connection (also a stockist of Glam Polish). 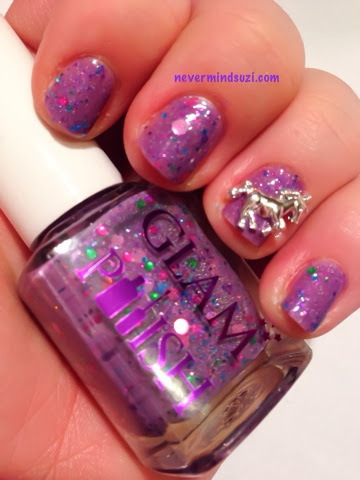 These were my Valentine's Day nails as I love Unicorns!